Check out the latest news and popular articles! Written by Don Botch on September 22, 2015. Written by Don Botch on January 13, 2015. Yvonne Hartman put her guitar to work for a good cause Saturday. 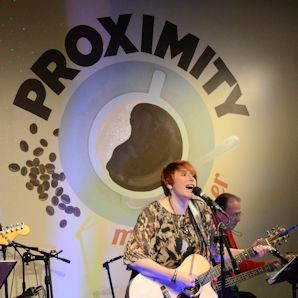 The singer-songwriter from Oley Township played a benefit concert at Proximity Cafe in Pottstown to raise money for the Pottstown Bible Church on East High street. 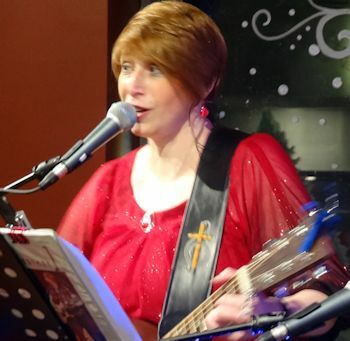 Hartman performed a selection of original tunes, accompanied by her father, Gary Yerger, on bass, pastor Jack Applebach on drums and Larry Adam on keayboards. Audience members left donations for the church. A total amount was not available. Applebach said that with the cold winter, Pottstown Bible Church needs all the help it can get to pay for its heating oil. The church also operattes a food pantry and provides a free community meal that serves up to 100 people every Sunday. Written by Reading Eagle on January 19, 2015. 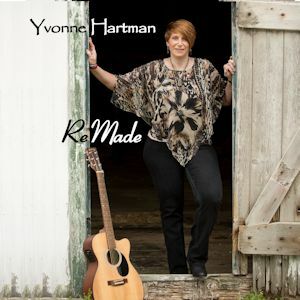 Yvonne's songs are described as “inspirational / situational,” pulling from life experiences, everyday struggles, and providing encouragement for believers. If you’ve had “one of those days,” curling up with a hot cup of tea and Yvonne’s music is the perfect remedy! My CDs are available here on my Music Page, including my latest EP, "Great Adventure", on sale for $5! Don't use CDs anymore? Songs available for download or on USB drives. I attended the InspireSong Songwriters Retreat in Apsen, CO this past May. What an awesome experience! One of the highlights was when they broke us up into small groups, our mentor was Matthew West! Our group wrote a song called "Cannot Keep It In" that will be on my next CD. I met Seth Mosely (producer for the Newsboys and For King and Country) and I will be attending a songwriting workshop with Full Circle Music in November. Copyright 2006-2017. Yvonne Hartman Music. All Rights Reserved.